SKU: SN-A-SN2 Categories: Accessories, Nappy fasteners. Tags: boingo, cloth nappies, cloth nappy, cloth nappy fastener, mcn, mcn's, modern cloth nappies, modern cloth nappy, nappis, nappy, nappy closure, nappy fastener, nappy pin, snap, snappi. Forget nappy pins! Get yourself a Snappi! 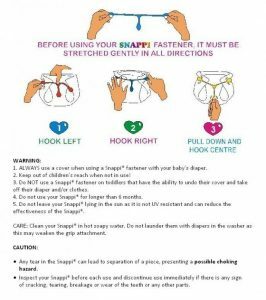 Secure your babies nappy in three easy steps with a stretchy fastener and grippy teeth. Snappi’s are safe, easy to use and come in an array of fabulous bright colours. These easy to use nappy fasteners are made from a stretchable, non-toxic material, which is T-shaped with grips on each end. These grips hook into the cloth nappy to ensure a snug but comfortable fit for baby making the use of cloth nappies easy and ouch less! (for you and baby). 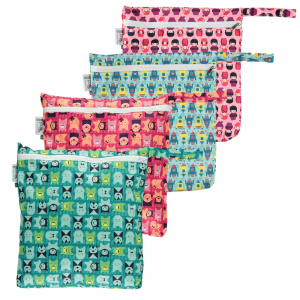 Can be used with flat, fitted or pre-fold cloth nappies and works best on towelling nappies. Available in single or double packs. This items is for a pack of TWO Snappi’s.